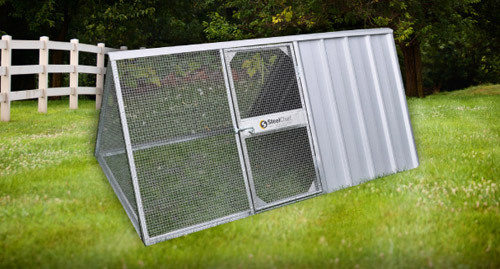 Keep your dog warm, dry and comfortable in one of our dog kennels. 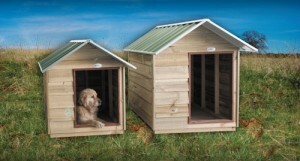 We offer a range of kennels in either steel or timber, in sizes to suit the a small dog or a big one. Kennels are made in pre-assembled panels, including roof and floor. Mix and match colours of your dog kennel, or choose a roof colour for your kennel. 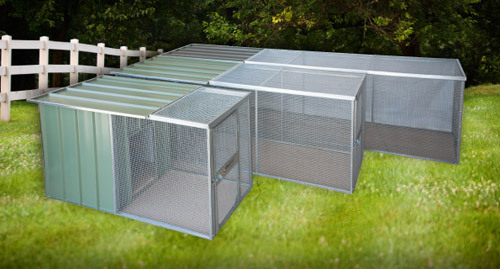 We also make pet runs, which have an enclosed kennel with a hinged roof for cleaning and access. We also sell Geelong, Werribee and Hoppers Crossing fowl houses and aviaries for Melbourne.